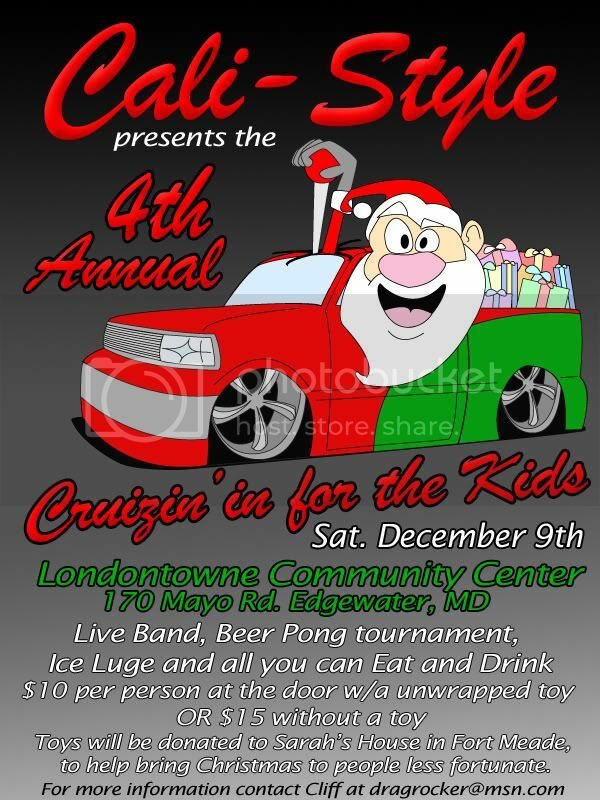 • View topic - PLEASE HELP SPREAD THE WORD ON THE TOY DRIVE!! if you can tell everyone you know, then tell them to tell everyone they know. if you go to other sites/forums please post up the flyer/info. streetsource, myspace, what ever lol. we spent some money on this and a good turn out would be great. we just want everyone to have a good time and in return do something great for kids who despertly need it. thanks again in advance guys looking forward to it!!!!!!!!!!!!!! ALSO EVERYTHING STARTS AT 7 PM!!!!!! save a life, kill a dog fighter. and then kill another just for fun. also any last contributions are always welcome. any shops, individuals that want to bring/give out cool door prizes are always cool too. i know a lot of people gave away some cool stuff last year so if anyone wants to do it again this year its very welcomed.